This guided chakra healing meditation will take you on a relaxing journey that cleanses and restores energy to your chakras, while bringing your entire energy system into a state of harmony and balance. The meditation begins with a calming guided relaxation that will prepare your mind and body for a deeper state of healing meditation. You will then be guided at a very gentle pace to heal and balance each of your seven energy centers. During this process you will use creative visualisation, affirmations and subtle energy awareness to promote relaxation and self-healing. 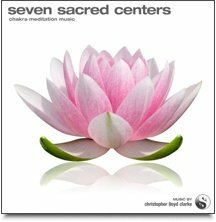 Seven Sacred Centers is a collection of chakra music tracks that are wonderful for cleansing and aligning your chakras. 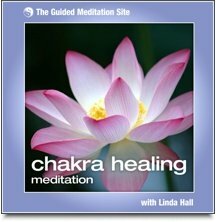 You can use the Chakra Healing Meditation for a powerful and deeply relaxing meditation experience, and then listen to Seven Sacred Centers during the day . . . anytime you feel the need to clear your energy and find your center.